Sixty people attended the fifth in the series of Saul to Stonehouse Waterway Restoration Exhibitions at Eastington Village Hall on a sunny Saturday 27th June. The enthusiasm expressed by exhibition visitors was clearly heightened by the fact that, earlier that day, a number of them had witnessed six steam boats cruising from Ebley to Stonehouse on the already restored section of The Stroudwater Navigation. 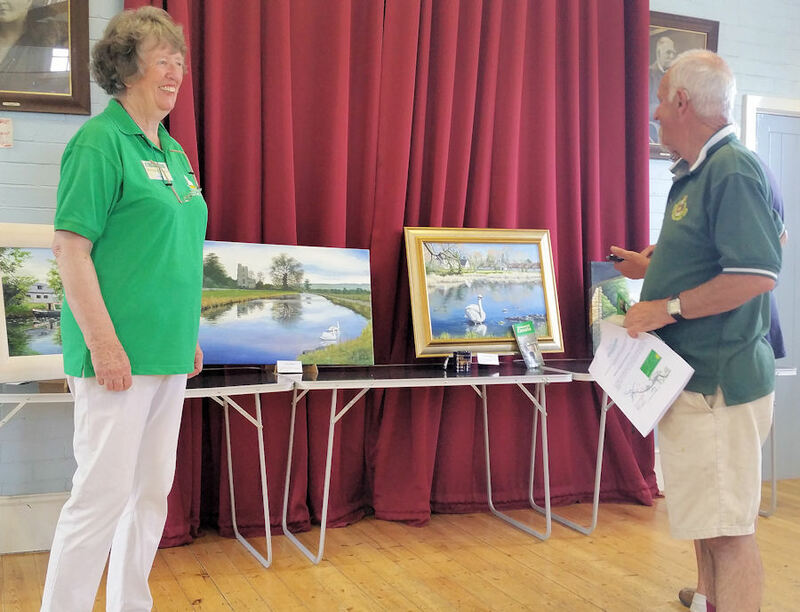 The exhibition itself was enriched by a collection of canal scenes painted by Cotswold Canals Trust member and exhibition volunteer Barbara Wyatt. Click on the photos to view larger versions. Not in town on Saturday?